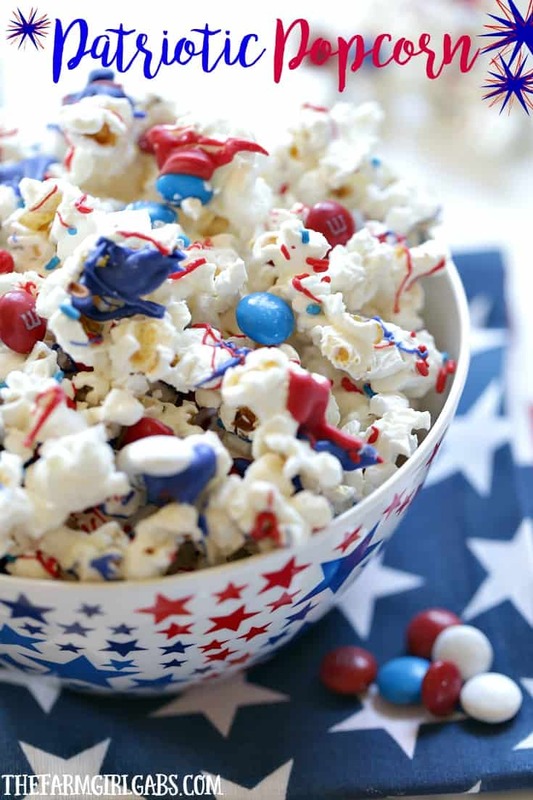 The ingredients are pretty straight-forward for this patriotic pleaser. I used a bag of kettle corn because I love the sweet and salty flavor. 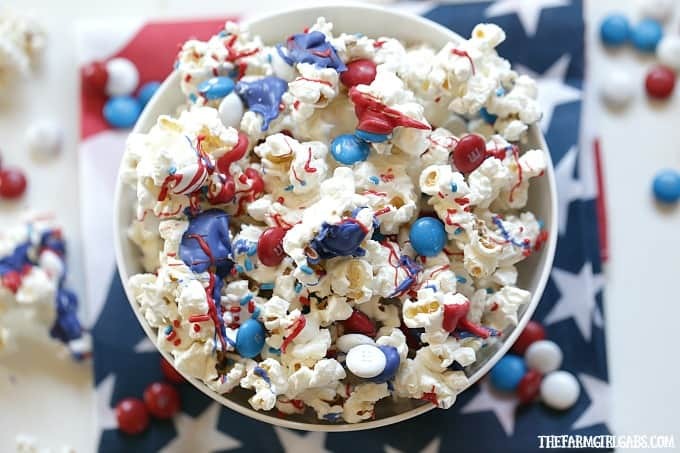 Some Red, White & Blue M&Ms®along with some Red, White and Blue Melting Wafers and sprinkles add the perfect patriotic vibe. Of course, you can serve this popcorn any time of the year by adding regular M&Ms® and any color melting wafers you want. Once you pop the popcorn, spread it out on a lined baking sheet. Melt the white chocolate and drizzle over the popcorn. Give it a good mix to make sure all the popcorn is covered.